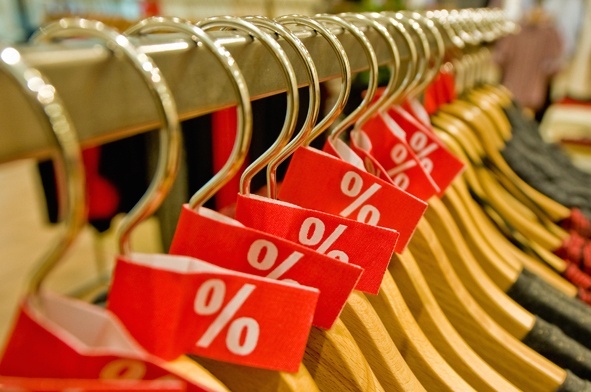 When overused, price promotion can have negative effects on your brand. Ask any marketing expert and they’ll tell you the multiple disadvantages of misusing price promotions as a tactic. For your easy reading, we break down how it can affect your brand’s perception and what you can do to mitigate its negative side effects. Warren Buffett was once quoted saying, ‘Price is what you pay; value is what you get.’ While your pricing might be determined by multiple factors such as industry standards, materials, current market and other things, frequent price promotion might become interpreted as an indicator of your brand’s quality. If your product is often discounted to a certain price point, consumers might see that price point in the long run as your real price. From then on, they might adjust their behavior to only buy your product when they’re on sale. To avoid this, reduce the degree of discount when you are employing price promotions. Major discounts can be misinterpreted as decrease in quality or other negative connotations. Furthermore, never skimp on your product’s quality and then time that with a price drop. That would surely lead to ill-informed conclusions and permanently damage your brand’s reputation. Devolving into a price war. Price promotion can lead to a competition based on pricing with your competitors. In turn, this might gradually devolve into the commodification of your products (a lose-lose situation for both brands). While price promotions as part of an agreement with retailers or partners are okay, using it to boost sales frequently can damage how audiences value your brand. Don’t make price promotions just about the price. Find a way to use it when introducing other additional features and benefits. What is at your brand’s core and how do you use that to set your brand apart without using price promotions as a crutch? Businessmen think that they’re convincing new consumers to shift brands and rewarding loyal consumers by using price promotion. Sadly, most business coaches will tell you that that’s not always the case. Instead, it attracts consumers that, while boosting sales records, also muddle what your know about your real target market. These consumers are sometimes just in it because of the savings and don’t have (and won’t develop) any sense of loyalty towards your brand. Do you really want consumers who are driven only by low prices and not what your business has to offer? Instead, target your price promotions to your loyal customers through unique programs and promotions. Parallel to this, you can also create offers that add value instead of reduce your brand’s perceived value. Be creative and true to your brand’s essence through your added offers. Shift the conversation between you and the audience and find your business’s real customers who are there because they like your brand and not just your price. Can’t think of other marketing and sales strategy to push your brand to the next level? Download our free ebook and find out what you can still do to elevate your marketing and other pillars of your business.